Summary of what happened here: Mist attacked, Mizukage held off the akatsuki which the village was destroyed more and more came till all 8 were here, then the raikage came to help along with the anbu. Yukiko noticing the two akatsuki members werent doing anything began a jutsu, "Wind Style: Oxygen Blade!'" she ran up to the two and hit them directly in the lungs temporarily stopping them from breathing, they both fell collapsing to the ground she then hit them in the arms and legs to prevent movement, she quickly knocked Shimamaru and the zana "Shimamaru your coming back with me, and Zana your going to be a hostage/ someone to interrogate, the power of the raikage is to be feared..." Said Yukiko who grabbed both of them, and trapped them in the lightning prison jutsu which she performed, while they were Unconcious. Effect: An transparent blade of concentrated chakra that jabs oxygen out of the place of contact, therefore causing temporarily (few seconds) being unable to put oxygen in the area hit causing a form of paralysis, this does physically no damage to the body, but when hit with it in the lungs and held in place it has the effect of suffocation, this can also be used to get poisonous toxins to stay in an area for a time, as well as making poisonous gases exit the body. Effect: normal ninja who mastered the spark of lightning can use this, its used by gathering the 36 sparks and making them circle the target in a motion so fast that it seems to be a sphere their trapped in this is used to keep them trapped, this Jutsu also takes away Chakra slowly, if they touch the wall of the sphere they will be shocked and may be paralysed. The Raikages attack didnt have the effect she thought. Shima used Water Release: Gunshot to get away from the raikage and grabbed Zana falling, back. "Were you saying something about being feared?." shima said with a smirkm on his face trying to hide that fact he was hurt. He fires a ball of compressed water from his mouth. 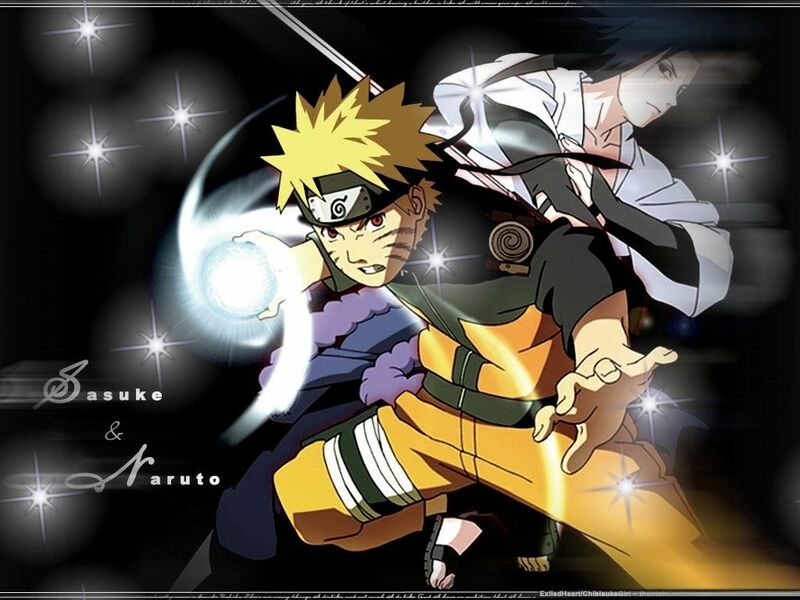 Effect: Causes the target to be tricked into believing they are not in a Genjutsu at first, this Genjutsu is passive, and uses the real world everything goes normally until the Genjutsu activates, once it activates (after a few minutes like 3) the target sees the world vanish piece by piece starting out slow and increasing in speed, soon enough the target feels like they too are slowly being deleted, while this happens its equivalent to the user feeling numb which is only a trick to their mind, and once they fulling vanish it would be like going to sleep, this is fully Genjutsu, and during this it doesn't do any physical damage to the environment or the target. Shimamaru has to think quickly before the genjutsu takes full control over him, He tryed to make handsigns but feels numb, suddenly he thinks to himself, " i wont loose to her." and quickly finds the strenth in him to use Cancel, breaking the Genjutsu. "That was good now its my turn." he says and then uses Haze Clone Technique creating 5 clones and sending three of him after her, they attack with reapeated taijutsu. Haze Clone Technique- This jutsu is similar to the Clone Technique, but produces clones that don't disappear when struck, making it much harder to effectively locate the user. Yukiko counters this with Haze clones as well but makes 27 instead due to her great chakra concentration, these clones go and attack Shima's Haze clones, she then rapidly in less than a second performs Kage bushin no jutsu and creates 11 shadow clones, then she makes 6 Bushin not jutsu clones "I told you I will get you back!" The real one and all the clones went after Shimamaru, holding dual fans. Shima quickly Uses Dance of the Larch and then uses Dance of the Clemetis : Vine to take out her clones one by one to see which one gets injured. "Hmph, I am a master of taijutsu, hand to hand combat will not win you this fight." he said. Dance of the Clemetis : Vine- Using his kekkei genkai, he can modify and pull out his own spinal column to use as a flexible chainstaff, regrowing a new spine to replace the removed one. The protrusions on the vertebra are modified to make them stronger and sharper. Dance of the Larch- He uses this jutsu to create a mass of razor-sharp bone spikes all over his body. These spines appear to be branches off his preexisting skeletal structure rather than complete new bones. He is even able to grow these bones at an extremely rapid rate so they can stab an opponent even as they are growing. He can even use them to block or trap an opponent's strikes. In addition to being an unwelcome surprise for opponents, it makes him basically untouchable at close range. Shima quickly has all the clones use his, Dance of the Clemetis : Vine and have his clones take out hers. "Hmph, I am a master of taijutsu, hand to hand combat will not win you this fight." he said. Effect: The clones created by this technique are not real. They might have weapons with them and those aren't real either. When a clone is hit, it turns into a gooey substance which can either retake it's original form or just fade away. This technique is used in collaboration with people in the background. The clone will act like it throws a kunai knife, when in actuality, the user of the skill will throw a Real kunai knife. Shima Notices clones jumped away and started an attack, He quickly uses "Earth Release: Earth Style Mudd Wall and then Water Release: Water Encampment Wall combinding the jutsu to create a bigger and harder wall protecting him and his unconious teammate from any danger. Earth Release: Earth Style Mudd Wall - He spits out a stream of mud that quickly grows and solidifies into a strong, protective wall, there is not many attacks that can even scratch its absolute defense. Water Release: Water Encampment Wall - This jutsu creates a water barrier to protect the user from any offensive attacks. The Shadow clone was first to attack and blew a hole through the first wall easily and made a little indent on the mud wall but didn't do much next Yukiko goes and attempts to brake the mud wall, but isnt able to break it she gets through 2/3 of it and prepares another Rasengan. We'll Be Back , Bye Now.